Massachusetts Attorney General Maura Healey is taking a victory lap today after a judge granted an injunction blocking 3D-guns. In a fight to keep plans for the plastic, printable weapons out of the hands of those who might use them to skirt firearm laws or sneak guns through metal detectors, Healey says an order from a federal judge in Seattle will buy more time. 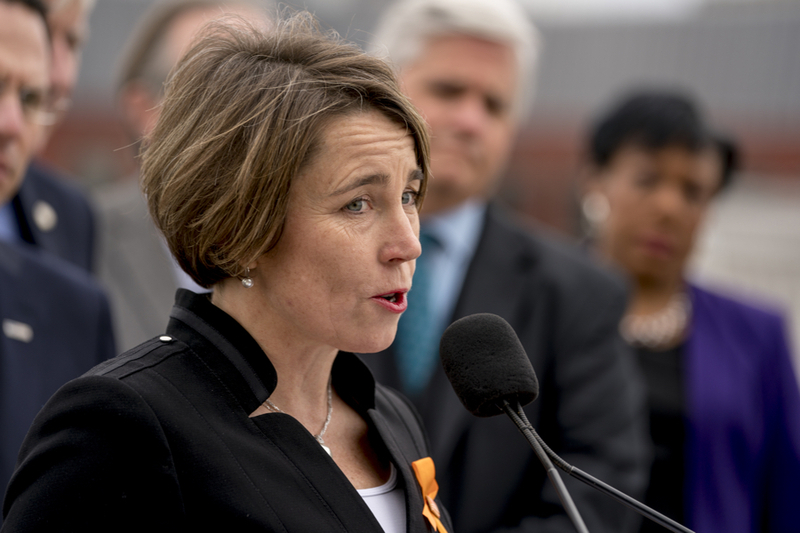 “In granting the preliminary injunction, the court recognized making untraceable guns that cannot be picked up by metal detectors would undermine state laws across the country and threaten public safety,” Healey said in a statement to MassLive. “While this federal court order remains in place, my office will continue the fight to permanently block the Administration from allowing criminals and terrorists to make 3D-printed guns. 3D-guns, a concept so bizarre it’s hard to comprehend why we even have to discuss this, were thrust back into the national dialogue last month when Cody Wilson, founder of a nonprofit called Defense Distributed, was granted approval from the State Department to begin sharing his plans for goofy-looking-but-theoretically-very-dangerous guns online. Wilson has argued his case for half a decade on First Amendment grounds. Oddly enough, President Trump had signaled that he, too, didn’t see the sense in proliferating the weapons. “[D]oesn’t seem to make much sense!” he tweeted, adding that he had spoken with the NRA about it. Healey has pushed back from the start, declaring that the guns are illegal to produce or possess under Massachusetts state law and joining several other other state attorneys general in a lawsuit aiming to block the blueprints’ release, arguing that they pose an obvious threat to public safety if they should fall (at the push of a button) into the wrong hands.